Shoppers World opened its first doors in Baltimore, Maryland during the 1930's. Founder Sam Dushey Sr. named it "The Mart" and focused on being the first discounter of childrens' wear in the greater Baltimore Area. In 1950's, the Dushey Family opened "The Pitkin Bargain Center" in downtown Brooklyn. It wasn't until 1972 that the "Shoppers World" name was born when the Elizabeth, New Jersey Store opened bearing the name. The opening of the Elizabeth store not only brought a new name, but also an expanded product line that included women's apparel. The store remains open today as the original flagship store. In the mid 1980's "The Mart" store was sold and the SW Group concentrated on expanding product assortments in their existing stores to include menswear, home furnishings, linens, and gift items. In the 1990's, Shoppers World added an additional 4 stores to their existing 5 stores throughout New York & New Jersey. Today, Shoppers World operates 40 department stores with locations in New York, New Jersey, Indiana, Maryland, Virginia, Georgia, Michigan, Ohio, Illinois & Texas. Each store carries a full line of casual and dress wear for men, women and children of all ages, from newborn to juniors to plus size. In addition, they offer an incredible assortment of shoes, lingerie, accessories and the largest selection of school and work uniforms around. 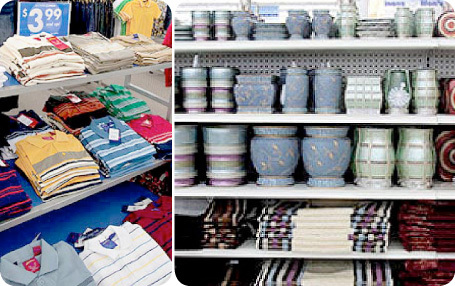 Shoppers World also carries an amazing collection of home furnishings, housewares, linens and home decor. Rounding out our value driven assortment is a variety of fun year round seasonal holiday merchandise and toys. reputation in the vendor community is second to none. their customers the best brands in the industry. 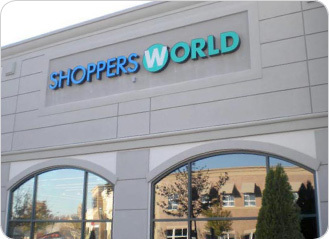 Shoppers World is a full line department store with merchandise including apparel for all ages and an amazing collection of home furnishings, housewares, linens, art and home decor. 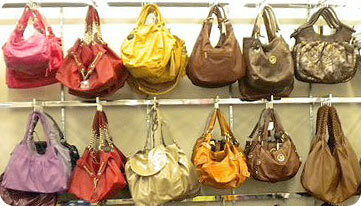 The Shoppers World mission has and always will be based on providing our customers the latest styles at the lowest price. Always New, Always For Less. It's the pledge that makes Shoppers World #1 in the hearts and minds of our value seeking customers.